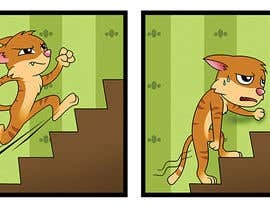 I need a simple 4 picture cartoon of a cat (standing like a human) in workout gear about to sprint up the stairs and bending over dripping in sweat when it gets to the top. 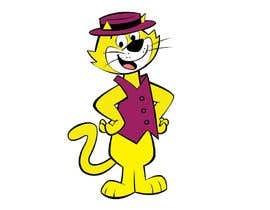 As it stands at the bottom of the stairs in workout gear I want it standing looking determined and with the paws in the sides (a bit like superman). It sprint the first 1/4 of the stairs but then very quickly needs to slow down holding onto the ceiling and walking very slowly up the rest of the stair case. Once it gets to the top I want it bending over and dripping in sweat. For 4 illustrations, 50 $ is minimum. Thanks. (i have already work on the firt one ). Hi Nina, its definitely tight..30, to animate 4 created images,at least 50, and thats being kind. Hi Nina, I can do it for AUD 30 only.